Contemporary and supremely comfortable this beautiful chair would enhance a traditional or modern setting. 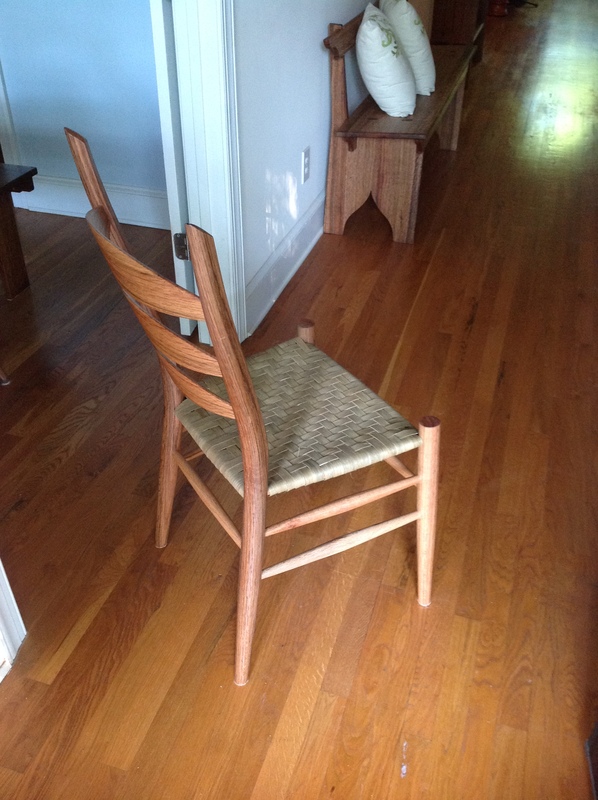 The three slat post and rung chair is in the style that Boggs was instrumental in developing. The chair is designed for strength, comfort, and aesthetic relevance. It’s carefully built from 17 pieces of domestic hardwood all crafted by hand. I use steam bending techniques for the rear legs and back slats. All four legs and the back slats are then hand shaped using a draw knife and spoke shave which reveal the unmistakable character of a hand made piece sure to be handed down to the next generation. 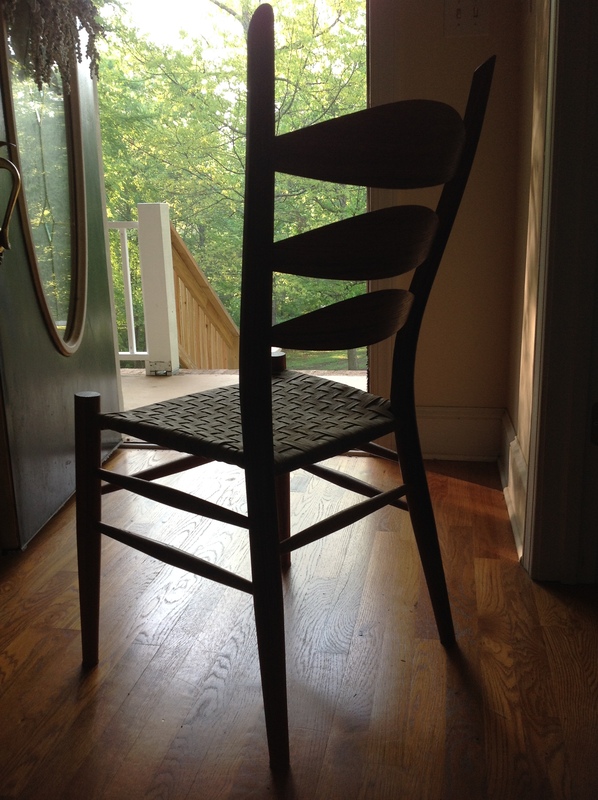 The precision of the joinery in this chair is of the highest priority, to illustrate this chair weighs approximately 8 pounds and I have had men weighing 225-250 lbs sit confidently without so much a notice from the chair itself. I use high quality hide glue for assembling the chair. If an issue were to happen to a joint on the chair the hide glue could be softened and a proper repair made. There are no metal fasteners or silly brackets. 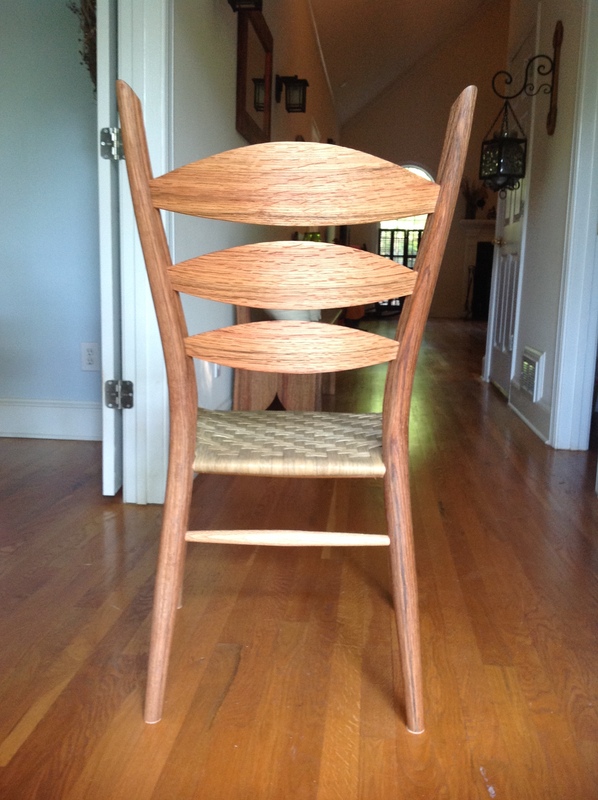 Following human ergonomics, precision joinery technique, material selection, and proper orientation of the wood grain in each of the 17 chair parts allows this light and elegant chair to exceed expectations. 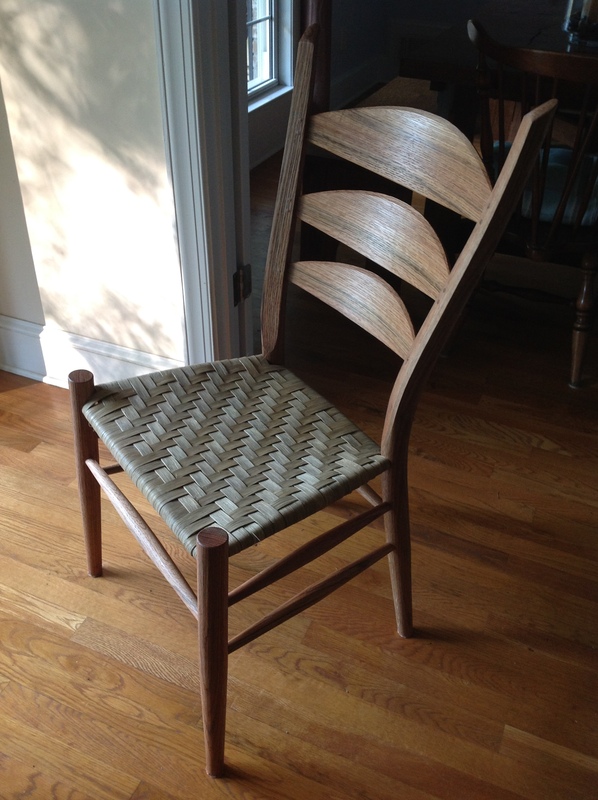 For seating options, I can weave the two pattern herringbone shown on the example chair, or another type of weave. 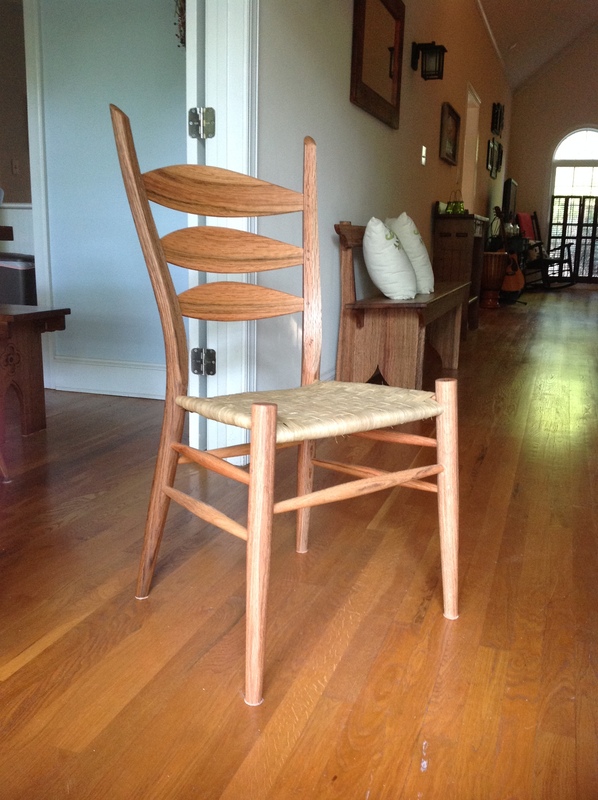 I can accommodate most requests for materials including traditional hickory bark, split reed (what is on the example chair in this listing), and shaker cloth tape of various colors.